Very interesting story. The description in the series can be very misleading. If you expected a farming centered novel or or slice of life story then you've been completely fooled: the farming part is merely in the first parts of the novel. This novel is very much like the authors previous tale: Warlock but with a more refined concept. It's about the MCs journey of discovery as he sinks into the deep pool about the truths and workings of universe. The story is split into parts where he journeys different worlds... more>> each with its own unique setting and "story" with the MC appearing as manipulator or even as the main character. These are then spread out over the overarching main story about the events in the homeworld om the MC as his avatar returns from each journey. The tone of the novel and main characters personality is very much like that of the previous novel - Rational Lawful Evil guy without much regards to morals or romance, everything is for the sake of benefits, sneers at meaningless killing yet wouldn't lift an finger to stop catastrophes causing the death of millions if those align with his goals. This guy also have those status but as for now I can't see some clear cheat because those stats and experience bar just showed his own progress..
A botany providing his own cultivation resources..
A disappointing lackluster entry from the author of Warlock of a Magus World. This novel is essentially a clone of WMW if you take away everything that made WMW great. The MC is ruthless yes: but he has no reason to be so. Leylin (WMW) had a plot-driven reason to be ruthless, this MC is just a sociopath for no good reason. The MC is stupid, the author gave him an overpowered system which essentially acts as plot armor allowing the author to have the the MC be supremely talented for no good reason. Another good novel by a very gifted author. While WMW is still superior in my opinion, this novel can stand on its own. To compare, the character in this novel is more true neutral rather than neutral evil that Leylin is. I know that the evil MC in WMW was off-putting for many younger readers. On the other hand, the progression in Warlock feels more thought through and Leylin worked much harder for his lucky encounters in comparison to the MC in this novel. It's really not bad at all. If you liked WMW, then you definitely will like this novel. With almost the same temperament (although MC here is definitely more righteous), you won't be disappointed. It's pretty difficult to find a novel with an MC that has a calm and collected personality. Most of the times, you'll find yourselves looking at completely apathetic killers, or righteous to the point of childish and unrealistic. advantages in terms of constitution should fade away. The entire story seems to be misunderstood -well, with that trash of a synopsis it makes sense. The beginning might seem to make the main character the typical weak to strong, underestimated protagonist who uses cheats and becomes stronger to face slap, with bland villains, all the girls being beauties and repeat..
Well; unfortunately this is the same author as WMW. The MC is at best an antihero and honestly a straight up villain. Don't expect him to go assist females because they're females or plot armor coming into play when he's about... more>> to die - this MC is the kind who never gets underestimated much or disadvantaged much as per the style of WMW's author. Why? He knows not to think with his pants. If he needs to kiss boots, he will, and yet he would never let himself get bullied or alienated - he's that guy in a high position within an organization a typical MC will have as an enemy. Started out great, the first dozen chapters are actually quite interesting, then author decided to turn it to a totally different path. If you like the first 40~ chapters, you might not like anything beyond that. The first few chapters are about base-building, then it becomes action/adventure. 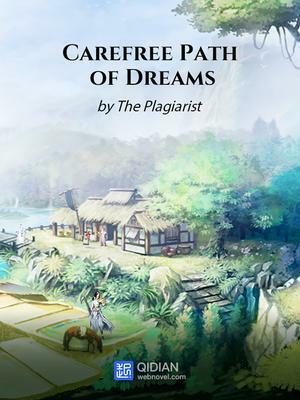 Fang Yuan before cultivate; life Carefree in secluded valley with his kind master, that is to say Fang Yuan have a better childhood than Leylin who transported to another world survival the fittest. The Cheat is also not too overpowered like AI Chip (save, analysis, deduce, control, etc), and make me curious what skill/ability he will... more>> get after level up. The MC's life is pretty carefree and he cultivates quickly due to his OP System, though this may so sound boring it's a pretty nice story to read. What's unique to the story is his botany skills and tea brewing stuff which help him grow. The premise of the story seemed pretty interesting at the beginning, but then things started to get a bit wonky. The only time when the MC is "carefree" is when he's drinking tea... and maybe when he's slaughtering people left and right. Some of his enemies are treated like piñatas... "Oh how enjoyable it is! ", he says to himself. His personality is all over the place, as if the author wants him to be everything. The scene transitions can be pretty bad at times too. The translation quality is okay; the... more>> English grammar is decent enough but the word choices can be odd at times. This novel is definitely not as good as the authors other work, but decent nonetheless. The novel was fun though a bit bland in the beginning, but it was easily rectified after some more characters were introduced and the story picked up pace. I had my hopes up and thinking that this may be a better novel than the plagiarist previous work "WoMW" which was in itself the most boring thing I have ever read. But it seems that plagiarist doesn't know how to write engaging and ever evolving characters. This novel is a collection of tropes and sudden incidences that hold no meaning in the... more>> story context. While all the characters including the MC has been given a particular attribute and they follow it from the get go. Now comes our cheat that gives the MC a huge advantage in growth and broken in itself. But we don't feel that the cheat [status screen] played any vital part in the story, the author has just given the MC a godly talent and nothing would have changed. Now comes one of the main part of the novel, the farming part..... well I don't remember anything related to farming, not on the level World of Cultivation has shown us. I sometimes think that the author himself forget about the farming part as they don't seem that vital in the story. Now the main part, and that is dreaming. The author probably is using the trope of cultivation from "Paradise of Demonic God" and "Way Of The Devil", in which the MC's usually go to the other world (Universe) and posses the body that recently died or something else solve the karma connecting them to this world and hence increasing their cultivation. But while the MC from those novels has a bit of distinction and personality driving them, I don't think of the same happening here with our MC. The dream parts are so bland and boring that it seems a way the author stole to increase the word count or chapter count. This story is very good, and the MC is mature, always look lowkey, and OP on the right moment. The scheming and the way of his thinking to consider cost benefit is making this story different from linear cultivation story (revenge, harem, and beat the bad guys). He is more like "i wont bother anyone, leave me alone" type. Although I recommend to skip all of his dreams story (side story), They are not making the hype on track. It's so good, if only the MC had a bit of humanity in him it would have been perfect, he doesn't give a damn about girls witch both good and bad, and his quite cruel even immoral sometimes, the translation is also sometimes confusing, otherwise this novel is so good the MC is smart his actions are quite logical he knows when to step up and when to step down, he take preventive action to protect himself. He didn't let anyone take advantage of him. So far it's pretty good; reminds me of the beginning of 'World of Cultivation'. We have a MC who doesn't really care that much about the world outside of his little farming valley, and yet, the world still intrudes. It's too early to say whether it'll turn into cliched garbage, but at least the writing style is fairly engaging. There are hints of the old familiar stories with a broken engagement and a set of evil antagonists (outer sect guy, inner sect cousin, sect elder father). They don't make up the... more>> bulk of the story though, and are still entertaining enough. It seems like many don't like this novel, actually this novel deserves four stars. There are indeed some classic plots, often played in other novels, but that does not reduce its superiority because the end of the plot is different, especially the writer makes the MC does not kill anyone, except those in the world of his own dreams. Chen He spat out the chunk of meat he was chewing on and retched. He was cross.